These colorful, hardy hybrids of American native wildflowers are long-blooming and easy care. 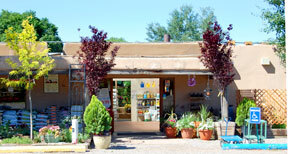 They need very well-drained soil and require only moderate water once established. 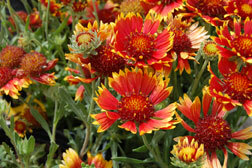 The gaillardia plants seen most often around town have red petals tipped in gold, but there are also burgundy and yellow varieties.